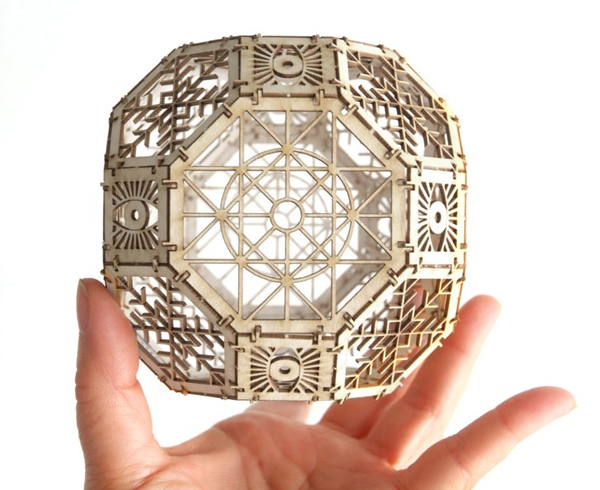 Lauren Ko brings mathematical precision to her baking, using elaborate intertwined patterns to form transfixing patterns to the top of her homemade pies and tarts. The Seattle-based amateur baker has been piecrafting for just a couple of years, she tells Mic, and if you’re wondering, this is her favorite pie crust recipe. 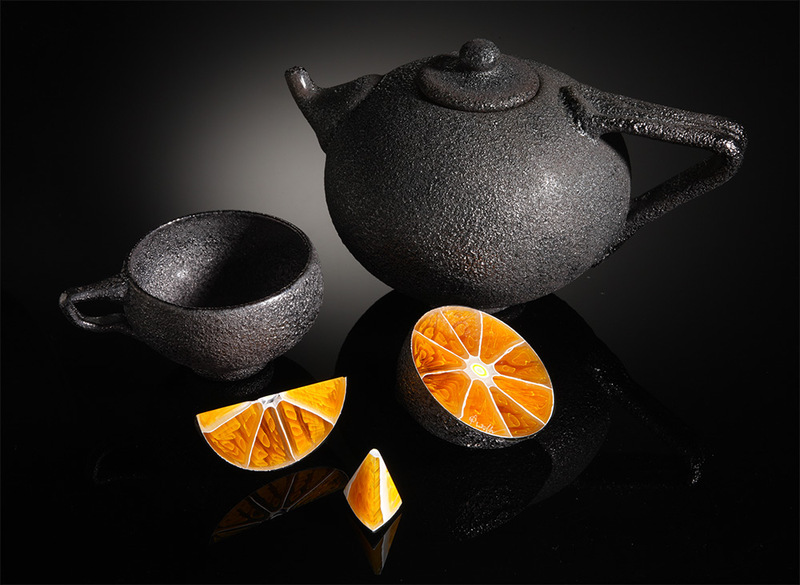 Ko combines classic crusts with colorful fillings like blueberries, kumquats, purple sweet potatoes, and pluots to create her visually striking sweets. You can follow her on Instagram. 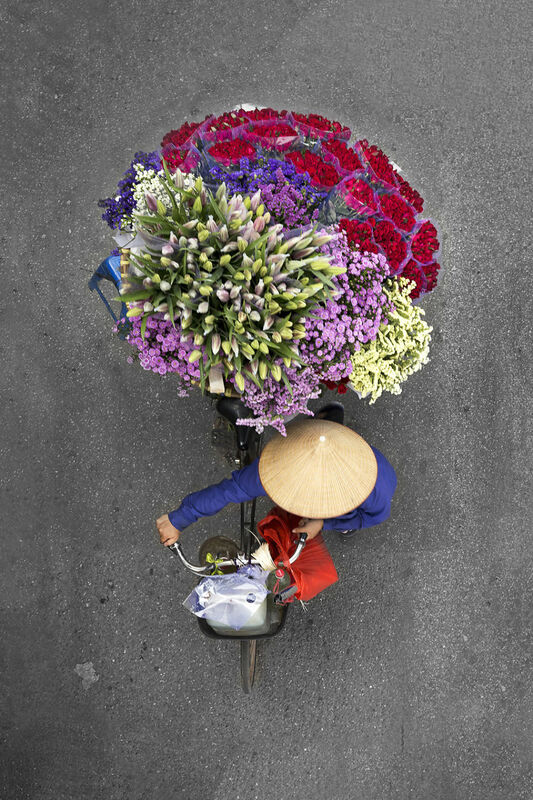 Fascinated by the colorful arrangements of flowers and fruits strapped to the bikes of street vendors in Vietnam, photographer Loes Heerink began climbing onto different bridges around Hanoi to capture these pops of color on the streets. Heerink loved that each of the vendors creates a new piece of art everyday, and that the collection of goods they bring into town differs each morning. This act prompted the series “Vendors from Above,” a collection of these street vendor photographs she shot while living in Vietnam. Commercial photographer Sam Kaplan‘s latest project, Unwrapped, transforms sticks of chewing gum into monumental structures, stacking the sticky treat in shapes that imitate architectural forms. Hundreds of pieces of gum criss cross and stand upwards to create pyramids, columns, and arches—held tightly together with support from super glue. Each image within the series received minimal editing, the final image coming from a single shot rather than one that was digitally combined. London-based artist Elliot Walker uses molten glass to create a stunning variety sculptures including these arrangements of eating utensils, vessels, and cross sections of food. 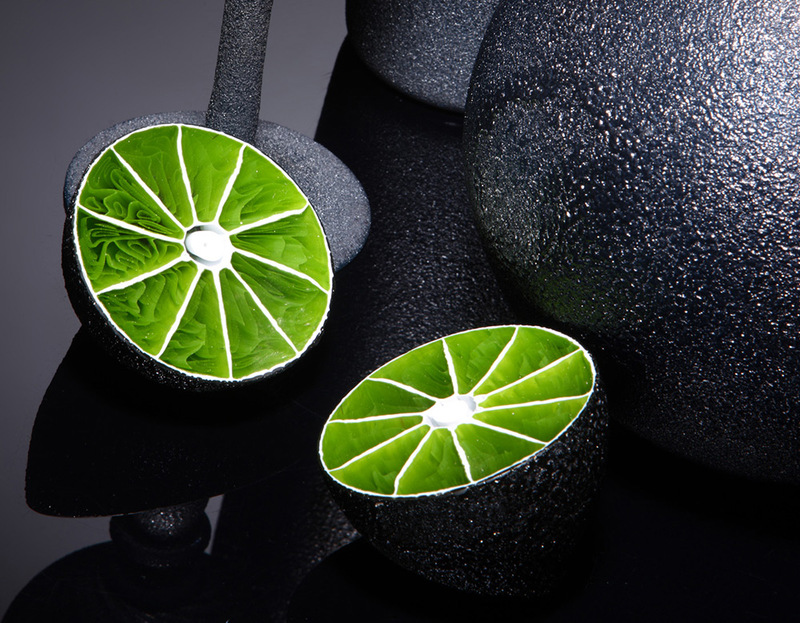 The stark outer surfaces of the surrounding objects contrasts with the vibrant interiors of the edible pieces, not unlike the effect of a cut geode. Walker currently has work at the Peter Layton Glass Blowing Studio as part of their current exhibition titled Essence that runs through the end of the week. You can see more photos of his work on Facebook.